This morning's Ithaca Journal is light on local news, but a lot of it takes place in Dryden. Farm City Day was held on Saturday at the Freebrook Farm in Freeville, where Kermit and Geraldine Marquis hosted the event on their crop-growing farm. 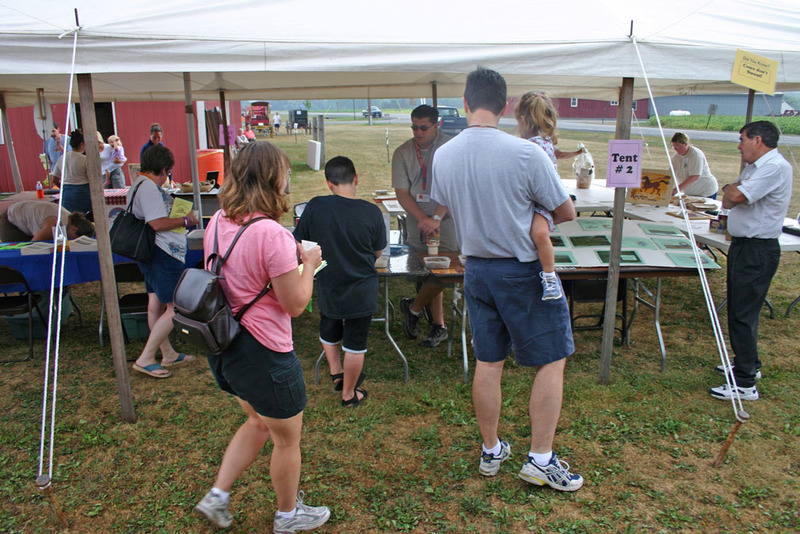 There were tents with displays from the Farm Bureau, Soil and Water Conservation, Cooperative Extension, and many more, as well as food, hayrides, sheepdogs, fun, and some incredible displays of buggies, sleighs, and plows. I've posted a gallery of Farm City Day photos if you'd like to see more. For more on farm issues, the Journal also has an article today on the upcoming expiration of the MILC dairy subsidies. While Farm City Day was going on, a group of motorcyclists were raising money for Ronald McDonald House. They started and ended a ride at the Dryden McDonalds, and it was organized in part by a supervisor at that store, Dolores Sober. Freeville resident Tom Drake is quoted, as is store owner Mark Renquin.